On the weekend you might have read Distro, Engadget’s Magazine where Stephen Elop was interviewed. He talked about sequential releases per market for the Nokia Lumia, noting China coming next year. China is a huge market for Nokia and in August we learnt that China loved Nokia back, with Nokia being the number 1 top brand. 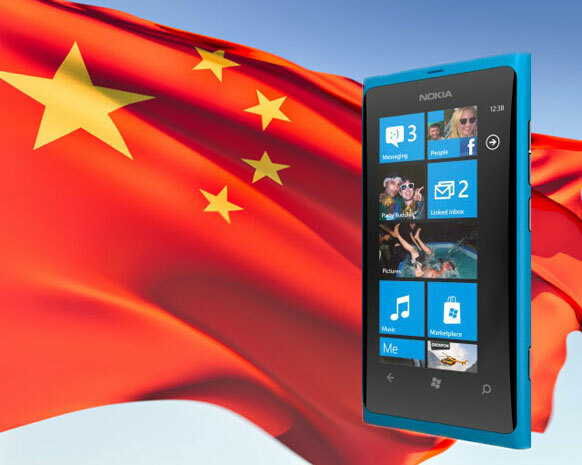 More people in China use a Nokia phone that any other brand’s worldwide combined consumers! Various price points are important for the China Market and Nokia has been keen to promote meeting various segments, both very high end (9xx) and low – sub 100USD variants (where the quality of user experience is still maintained, e.g. still 800X480 resolution). These might be the lower end Tango coming as well as possibly the already launched Lumias. We should remember that Nokia expect to produce new Lumias in waves, supposedly three month intervals. There might be some new handsets in other markets before spring. Cheers for the tip, mrprince!